FULSHEAR, Texas - A Texas woman fatally shot by police after she killed her two daughters was struggling with marital problems before the shooting, according to friends and police. Police say Christy Sheats, 42, shot and killed her two daughters , ages 17 and 22, Friday in the family's home outside the Houston suburb of Fulshear. Her husband Jason Sheats, 45, survived. Christy Sheats' former employer at a tattoo removal business, John Hollis, told CBS affiliate KHOU he was shocked by the news. Sheats had worked there for several months last year as a receptionist. "She had a charm about her; apparently that was something that if she wanted to turn it on, she could turn it on and if turned the other way, it turned the other way," Hollis said. Hollis told the station she was separated from her husband and children at the time of the shooting. Christy Sheats and her husband both attended high school in Alabama, school officials told The Decatur Daily. A family friend in Alabama told the station that the Sheats were always having marital problems and that Jason Sheats was doing everything he could to fix their issues. Christy Sheats attended Austin High School in Decatur from 1989 to 1991 but did not graduate. Jason Sheats graduated from East Lawrence High School in Trinity, where he was a standout baseball player, former East Lawrence baseball coach Don Smith said. "He was intelligent and the best pitcher I ever coached," Smith said, adding that he hadn't spoken to his former player in a long time. "I'm just shocked," said high school friend Shaun Montgomery who kept in touch with Christy Sheats through social media. Montgomery described her as outgoing and someone who was always in the clique. Maj. Chad Norvell of the Fort Bend County Sheriff's Office told Crimesider a family argument led to the shooting. Norvell said Christy Sheats and her husband were fighting over marital issues. "The husband and wife weren't getting along," Norvell said. 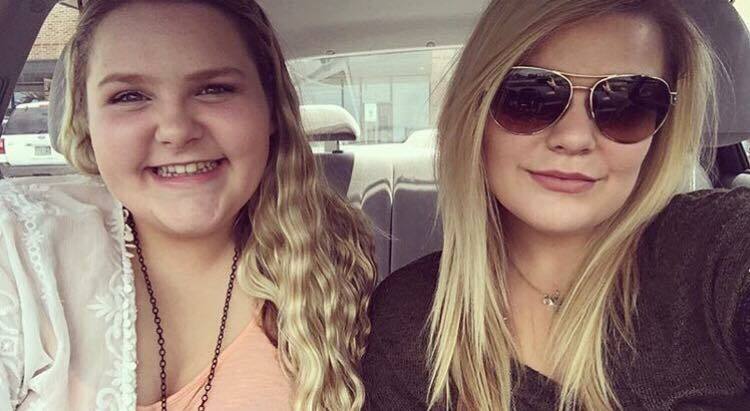 Prior to the shooting, Sheats convened a family meeting in the living room that was attended by her husband and her daughters, Taylor Sheats, 22, and Madison Sheats, 17, according to the sheriff's office. When officers arrived, they saw Christy Sheats shooting one of her daughters in the street, the sheriff's office said. Police tell Crimesider Madison Sheats was shot once, and Taylor Sheats was shot three times. Investigators found the murder weapon was a five-shot, .38 caliber handgun. "I just heard a quarrel, a domestic dispute," neighbor Sabeeh Siddiqui told KHOU. "I didn't want to get involved, but soon afterwards, I heard a gunshot, so I opened up the blinds, and I saw a police officer aiming his gun toward somebody and saying drop your weapon." Taylor Sheats graduated with honors from Lone Star College Cy-Fair in the spring of 2015, reports the station. Madison was going to be a senior at Seven Lakes High School. Jason Sheats, whose birthday was the day of the shooting, was uninjured. "Dad really loved the daughters, kids were well mannered, very respectable as well," neighbor Chapin Knickerson told the station. A Facebook profile consistent with Sheats' biographical details included a pro-gun post, alongside posts about how much she loved members of her family. "I never dreamed anything like this would happen," Montgomery said.